Welcome to the Santa Monica Pier at night – beautiful and mysterious.This photo uses the “rule of thirds” to capture your attention. Here’s how it works. Imagine a grid placed over the image – 3 boxes across, 3 boxes down. 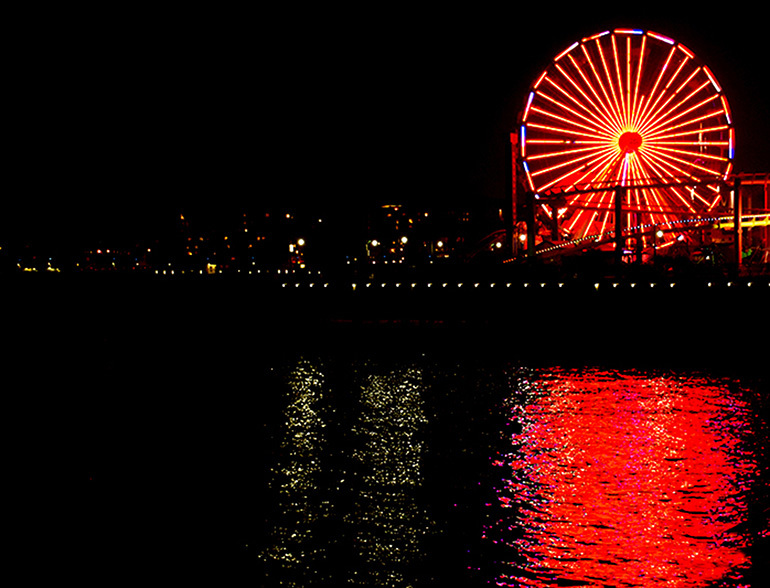 When the Ferris wheel is left it flows smoothly, like reading and writing. Change it to the right and there’s tension. Is the left Ferris wheel safe? 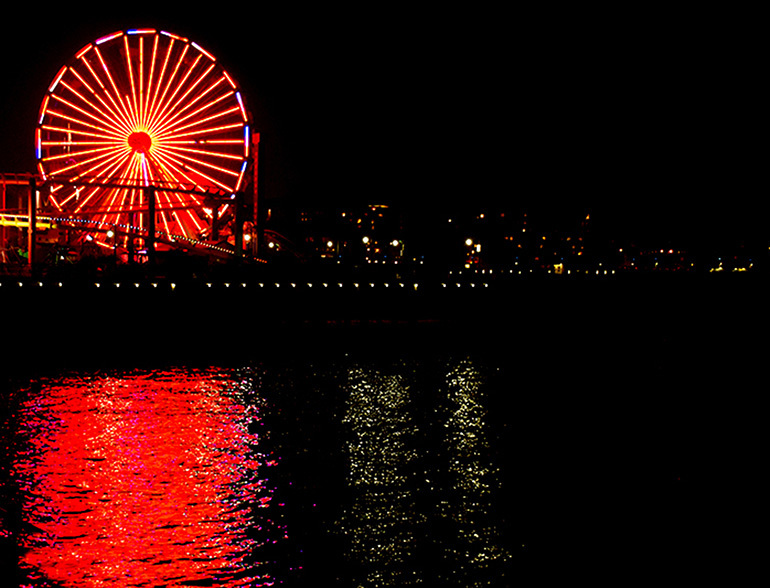 Does a serial killer lurk in the shadows beneath the right ferris wheel? Why do they feel so different?Which one do you trust?